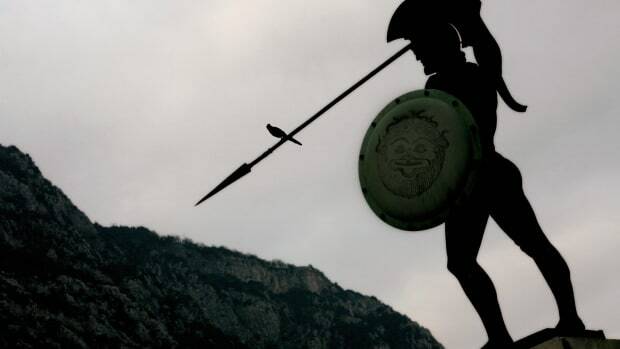 Sparta was a warrior society in ancient Greece that reached the height of its power after defeating rival city-state Athens in the Peloponnesian War (431-404 B.C.). Spartan culture was centered on loyalty to the state and military service. At age 7, Spartan boys entered a rigorous state-sponsored education, military training and socialization program. Known as the Agoge, the system emphasized duty, discipline and endurance. 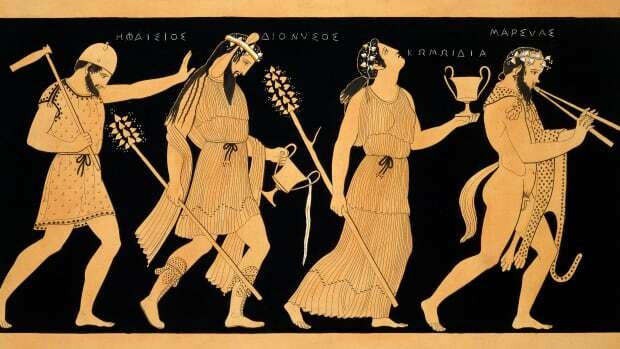 Although Spartan women were not active in the military, they were educated and enjoyed more status and freedom than other Greek women. Because Spartan men were professional soldiers, all manual labor was done by a slave class, the Helots. Despite their military prowess, the Spartans’ dominance was short-lived: In 371 B.C., they were defeated by Thebes at the Battle of Leuctra, and their empire went into a long period of decline. 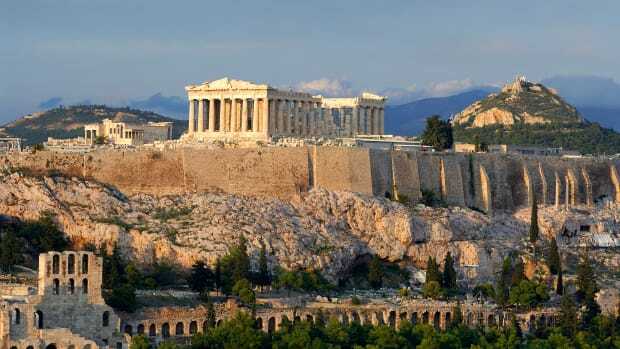 Sparta, also known as Lacedaemon, was an ancient Greek city-state located primarily in the present-day region of southern Greece called Laconia. 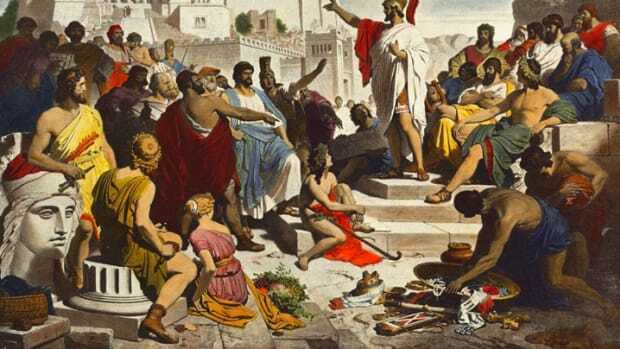 The population of Sparta consisted of three main groups: the Spartans, or Spartiates, who were full citizens; the Helots, or serfs/slaves; and the Perioeci, who were neither slaves nor citizens. The Perioeci, whose name means “dwellers-around,” worked as craftsmen and traders, and built weapons for the Spartans. Did you know? The word “spartan” means self-restrained, simple, frugal and austere. 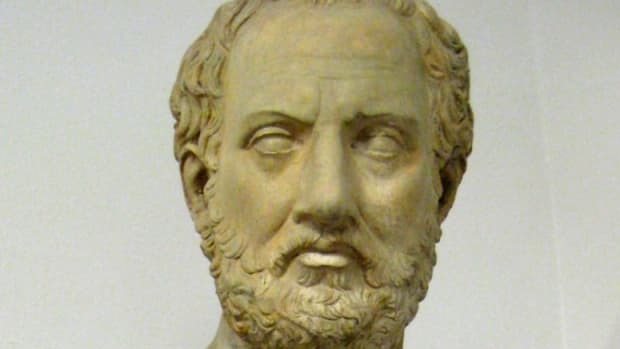 The word laconic, which means pithy and concise, is derived from the Spartans, who prized brevity of speech. 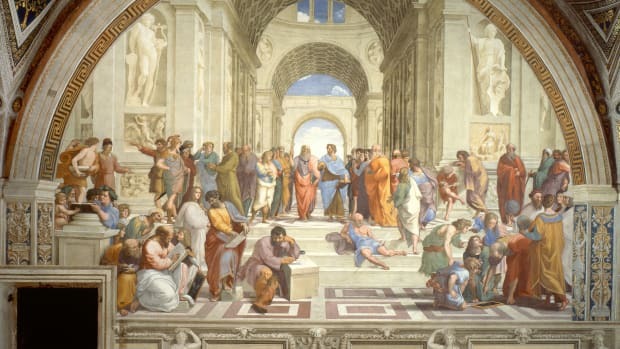 All healthy male Spartan citizens participated in the compulsory state-sponsored education system, the Agoge, which emphasized obedience, endurance, courage and self-control. Spartan men devoted their lives to military service, and lived communally well into adulthood. A Spartan was taught that loyalty to the state came before everything else, including one’s family. 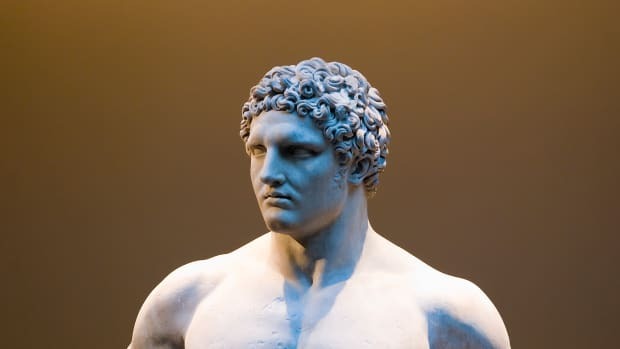 The Helots, whose name means “captives,” were fellow Greeks, originally from Laconia and Messenia, who had been conquered by the Spartans and turned into slaves. The Spartans’ way of life would not have been possible without the Helots, who handled all the day-to-day tasks and unskilled labor required to keep society functioning: They were farmers, domestic servants, nurses and military attendants. Spartans, who were outnumbered by the Helots, often treated them brutally and oppressively in an effort to prevent uprisings. Spartans would humiliate the Helots by doing such things as forcing them to get debilitatingly drunk on wine and then make fools of themselves in public. 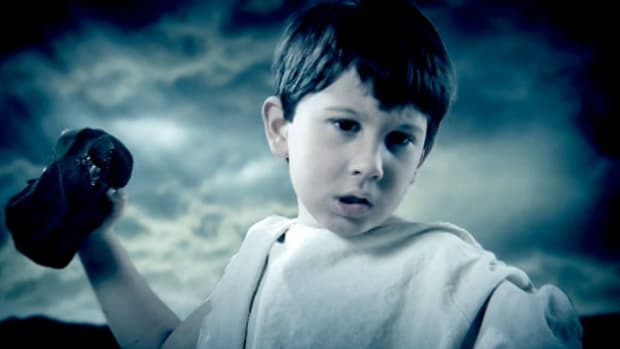 (This practice was also intended to demonstrate to young people how an adult Spartan should never act, as self-control was a prized trait.) Methods of mistreatment could be far more extreme: Spartans were allowed to kill Helots for being too smart or too fit, among other reasons. Unlike such Greek city-states as Athens, a center for the arts, learning and philosophy, Sparta was centered on a warrior culture. 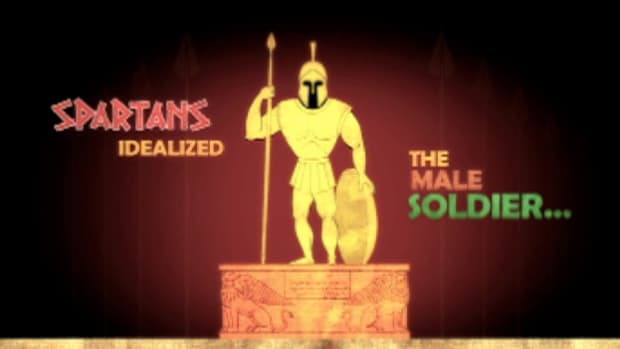 Male Spartan citizens were allowed only one occupation: solider. Indoctrination into this lifestyle began early. Spartan boys started their military training at age 7, when they left home and entered the Agoge. The boys lived communally under austere conditions. They were subjected to continual physical, competitions (which could involve violence), given meager rations and expected to become skilled at stealing food, among other survival skills. The teenage boys who demonstrated the most leadership potential were selected for participation in the Crypteia, which acted as a secret police force whose primary goal was to terrorize the general Helot population and murder those who were troublemakers. At age 20, Spartan males became full-time soldiers, and remained on active duty until age 60. The Spartans’ constant military drilling and discipline made them skilled at the ancient Greek style of fighting in a phalanx formation. In the phalanx, the army worked as a unit in a close, deep formation, and made coordinated mass maneuvers. No one soldier was considered superior to another. Going into battle, a Spartan soldier, or hoplite, wore a large bronze helmet, breastplate and ankle guards, and carried a round shield made of bronze and wood, a long spear and sword. Spartan warriors were also known for their long hair and red cloaks. Spartan women had a reputation for being independent-minded, and enjoyed more freedoms and power than their counterparts throughout ancient Greece. While they played no role in the military, female Spartans often received a formal education, although separate from boys and not at boarding schools. In part to attract mates, females engaged in athletic competitions, including javelin-throwing and wrestling, and also sang and danced competitively. As adults, Spartan women were allowed to own and manage property. Additionally, they were typically unencumbered by domestic responsibilities such as cooking, cleaning and making clothing, tasks which were handled by the helots. Marriage was important to Spartans, as the state put pressure on people to have male children who would grow up to become citizen-warriors, and replace those who died in battle. Men who delayed marriage were publically shamed, while those who fathered multiple sons could be rewarded. In preparation for marriage, Spartan women had their heads shaved; they kept their hair short after they wed. Married couples typically lived apart, as men under 30 were required to continue residing in communal barracks. In order to see their wives during this time, husbands had to sneak away at night. 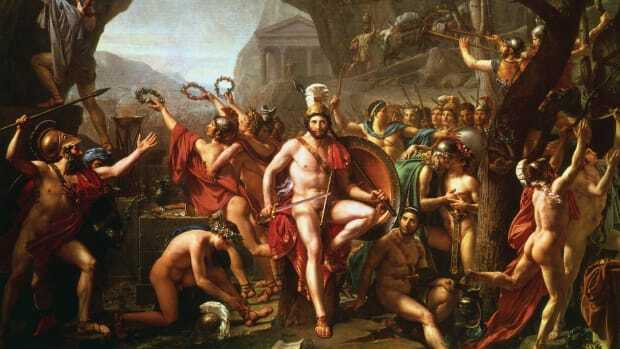 In 371 B.C., Sparta suffered a catastrophic defeat at the hands of the Thebans at the Battle of Leuctra. 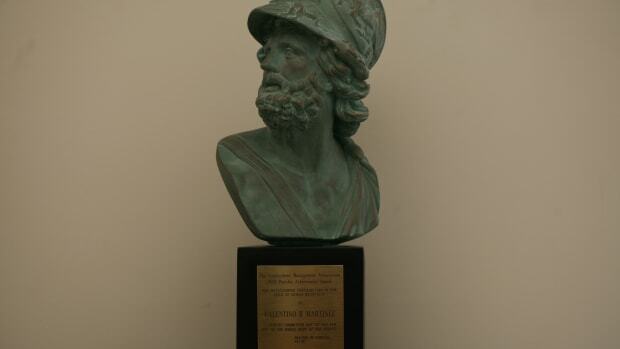 In a further blow, late the following year, Thebangeneral Epaminondas (c.418 B.C.-362B.C. )led an invasion into Spartan territory and oversaw the liberation of the Messenian Helots, who had been enslaved by the Spartans for several centuries. The Spartans would continue to exist, although as a second-rate power in a long period of decline. In 1834,Otto (1815-67), the king of Greece, ordered thefounding of the modern-daytown of Spartion the site of ancient Sparta.